The IMM Cologne furniture fair began on Monday this week and we’ve had the chance to scope out what’s new and exciting from the world’s most illustrious brands. 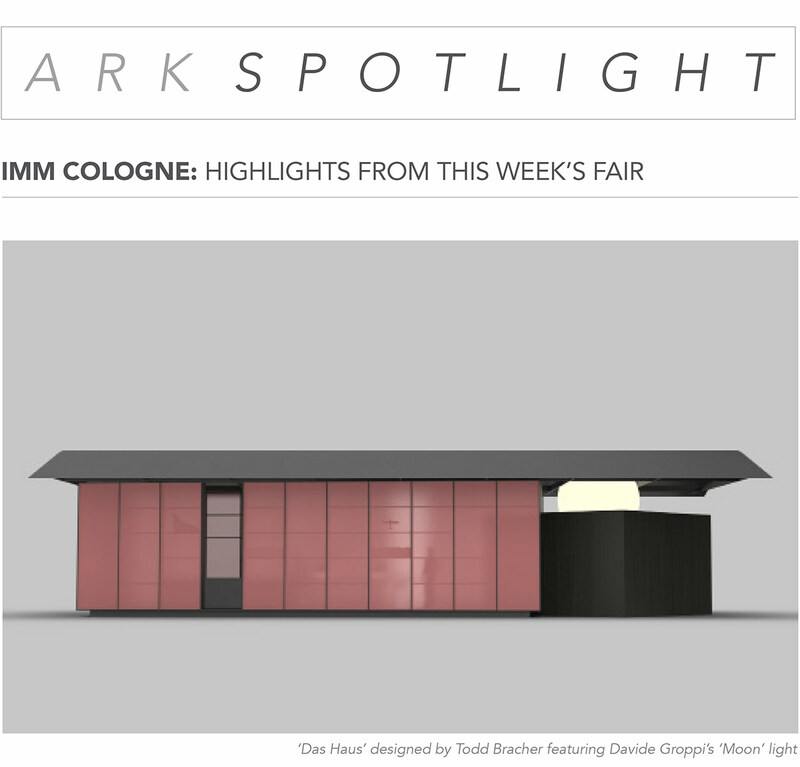 This year was exceptional in terms of innovative new product and noteworthy mentions such as “Das Haus 2017” installation, designed by New York-based designer Todd Bracher featuring Davide Groppi’s special new version of the ‘Moon’ lamp which is a prominent feature within the installation, meant to induce emotion through the beauty of light. After the success of the indoor collection, B&B Italia has introduced the Ray Outdoor seating system by Antonio Citterio. 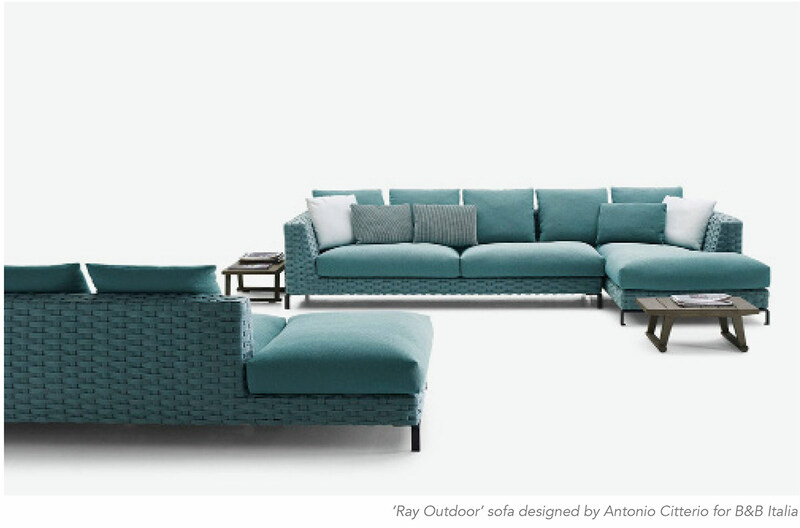 Ray Outdoor features two new seating collections, ‘Natural’ and ‘Fabric,’ that have in common a light extruded aluminum frame and are distinguished by various interlacings and materials. Ray Outdoor Natural features a “rope” weave inspired by natural Manila hemp and designed to merge seamlessly with nature. 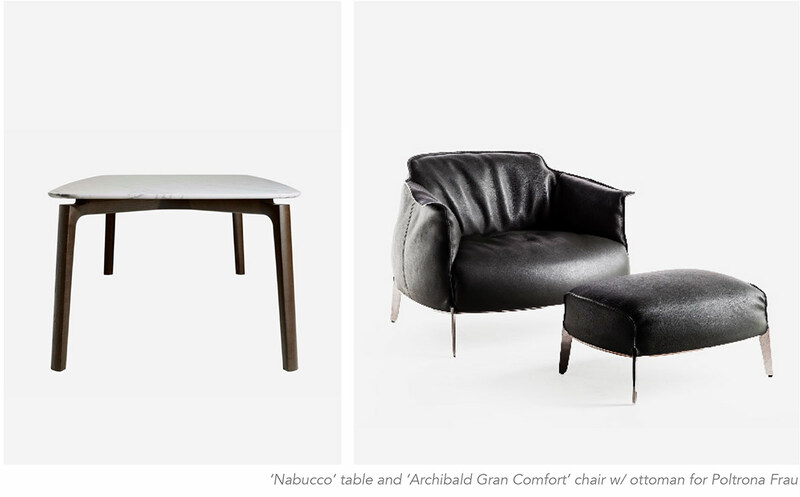 Poltrona Frau has revealed two notable new products at this week’s fair: the Nabucco table designed by Robert Lazzeroni and Archibald Gran Comfort chair which is now available with an ottoman designed by Jean-Marie Massaud. The Nabucco table merges artisan cabinet work with cutting-edge miling technologies which turn what would be an ordinary dining table in a piece of stylized sculpture. Just when we thought the Archibald Gran Comfort chair could not get any more cozy, it is now available with a perfectly suited ottoman, bringing this chair’s relaxation potential to its fullest. 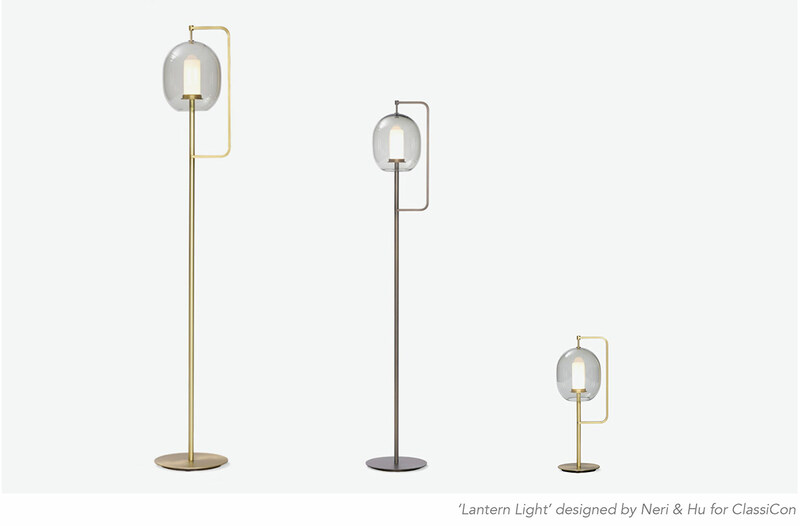 The design of the Lantern Light, which Neri & Hu introduced this week, is intended to be a direct nod to the late great Vico Magistretti’s design from 1977. The designers explain: “Vico Magistretti designed a light in 1977 called Lyndon based on the idea of a structure holding a simple ball of light. The delicate glass bowl sets a contrast to the minimalist approach to its base pursuing the idea of being read as a cloud. To commemorate the tenth year of his death, we selected the Lyndon light to pay homage to the designer and created a light in the same spirit. 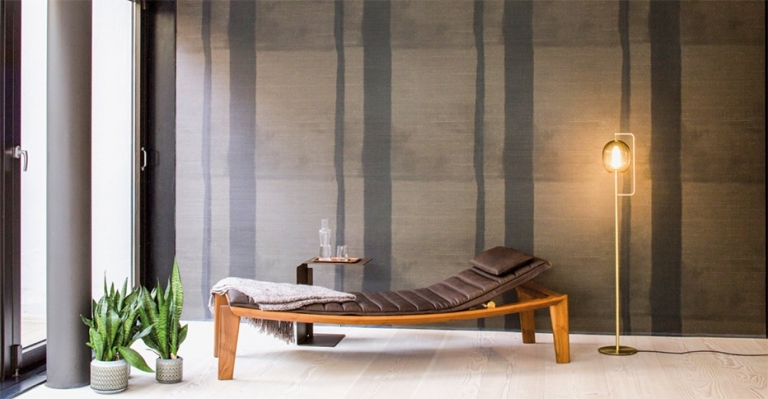 The revered Progetti collection was originally created in 1987. In celebration of the series 30th anniversary, Giorgetti will reveal the reinterpreted, limited edition collection at four different times in 2017. The rst series, ‘Progetti Pure’ was unveiled at this week’s fair. 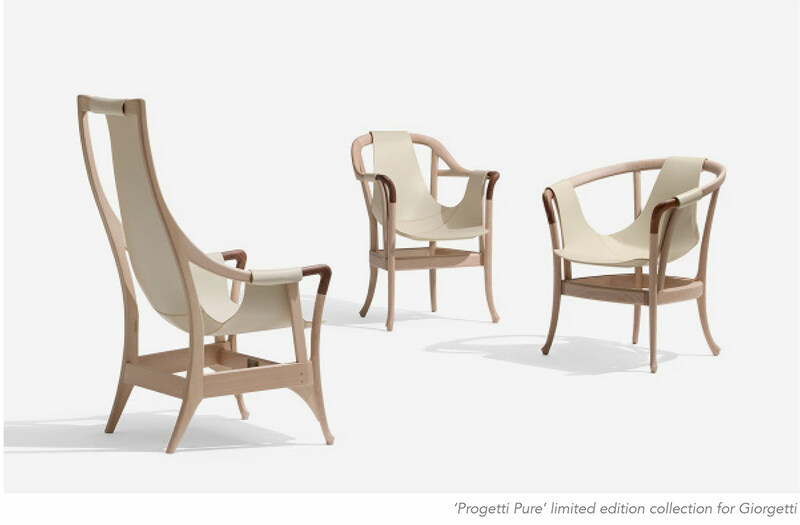 ‘Pure’ is a series of armchairs with the frame in solid beech wood. The armrests are in polished pau ferro wood. The seats and backs are in saddle leather, paired with the beech finish.